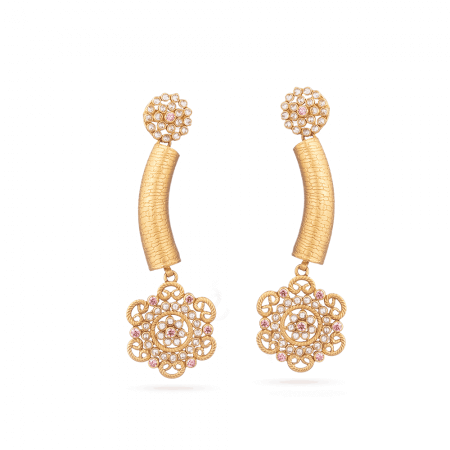 All the pretty things reside here. 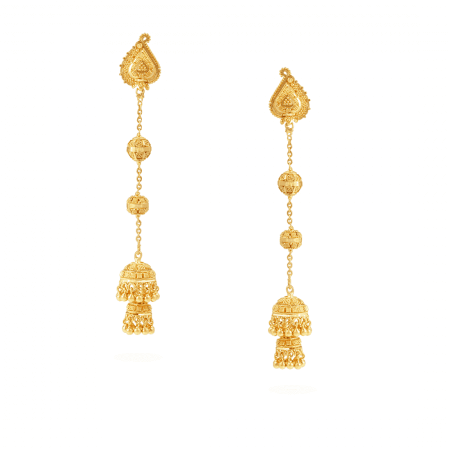 Explore our favourite drop earrings in 22ct gold – we have one of the biggest selections this side of the Indian Ocean. 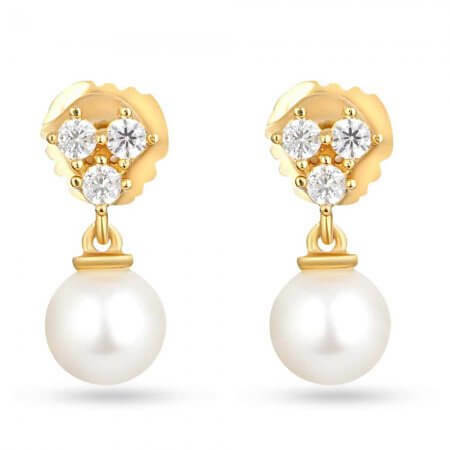 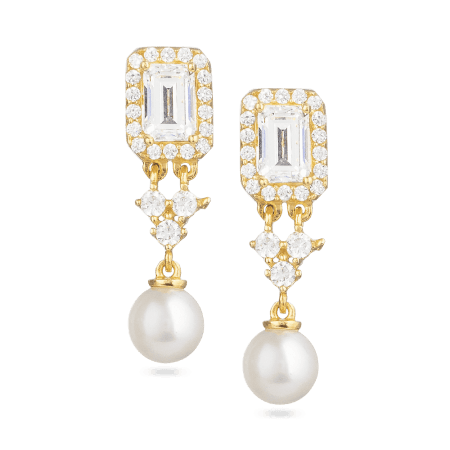 Do you love diamonds, pearls, or minimal drop earrings? 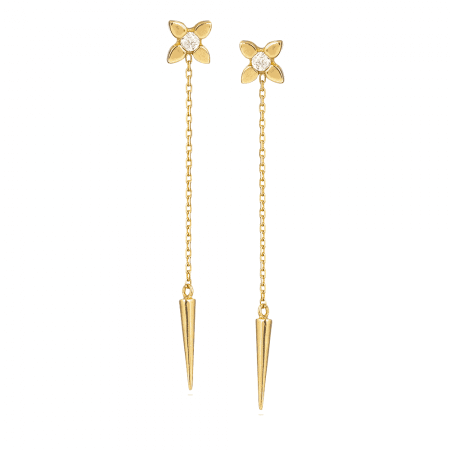 You’ll find a new favourite any minute now. 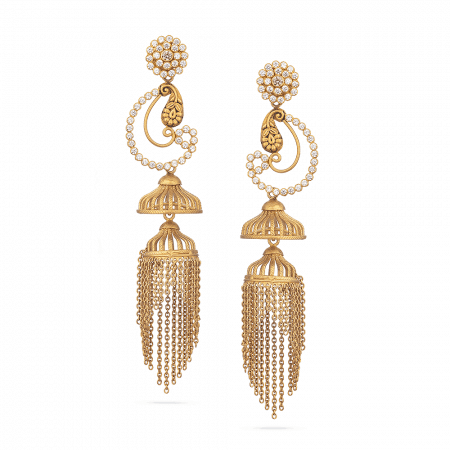 Our earring cabinet is taking over the show room. 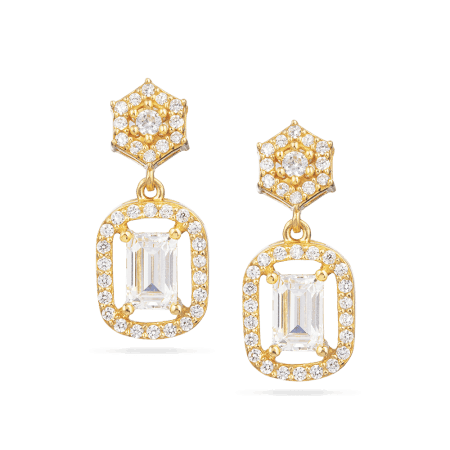 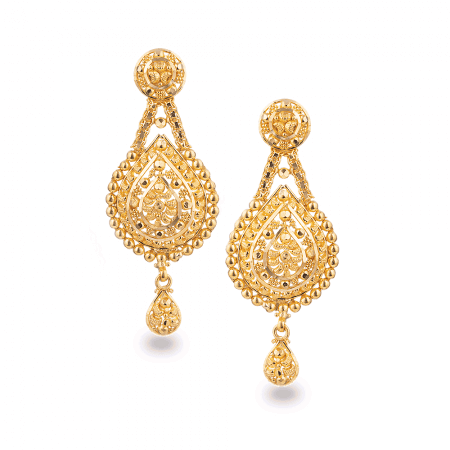 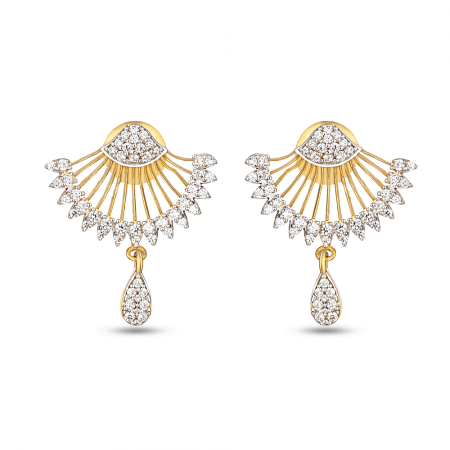 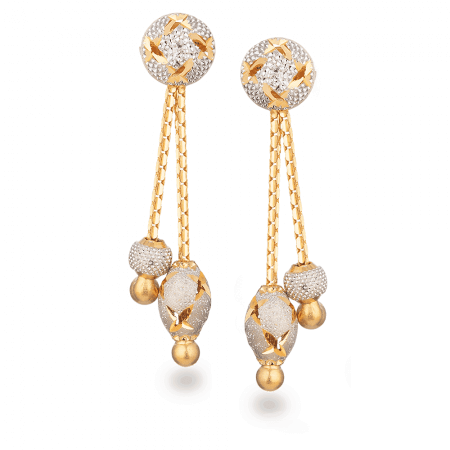 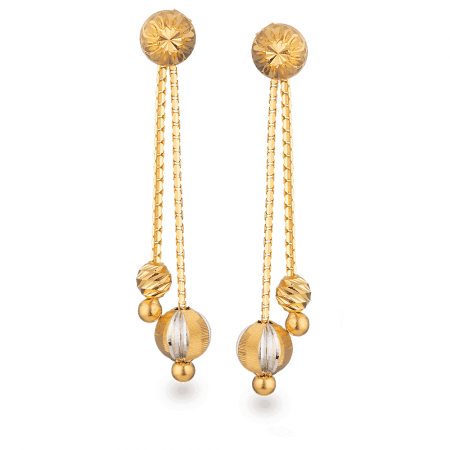 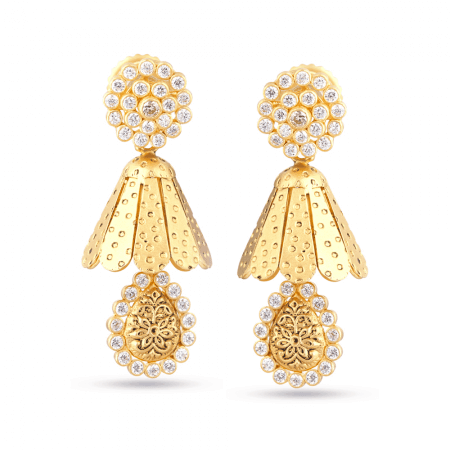 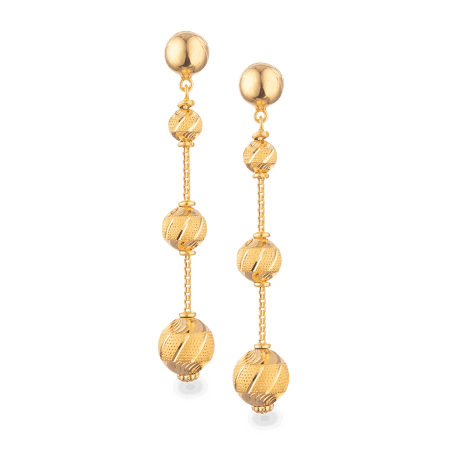 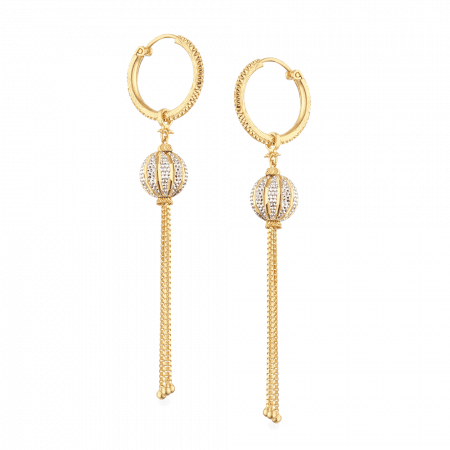 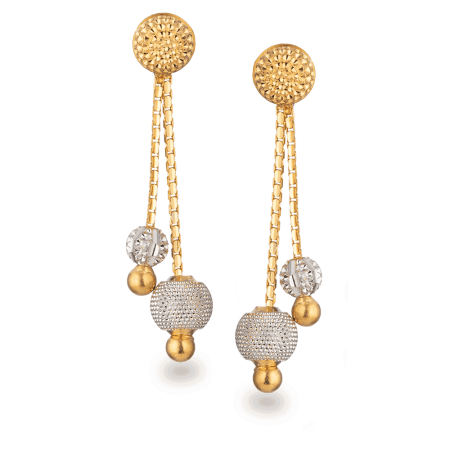 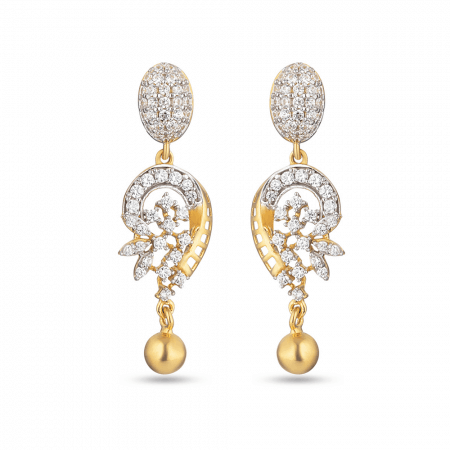 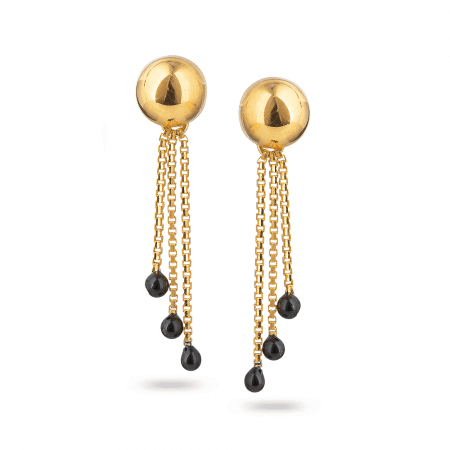 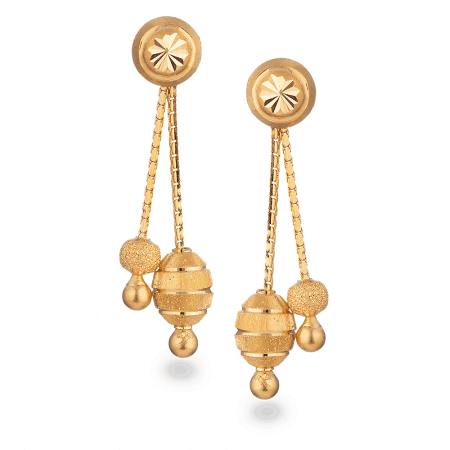 We can’t help it – everyone loves our Indian-inspired, 22ct gold drop earrings. 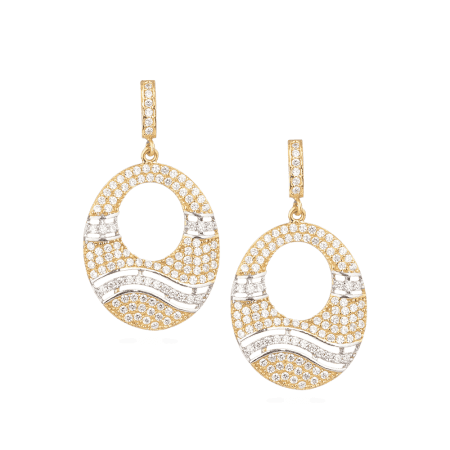 We think you might too! 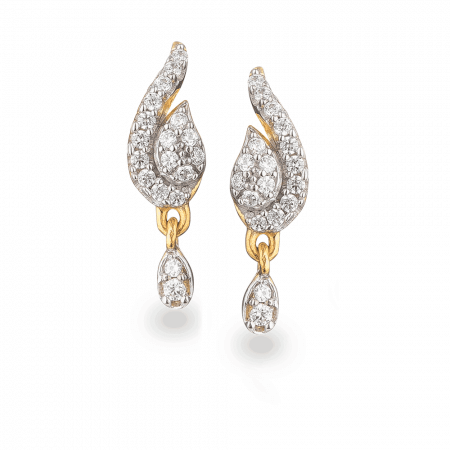 How will you choose? 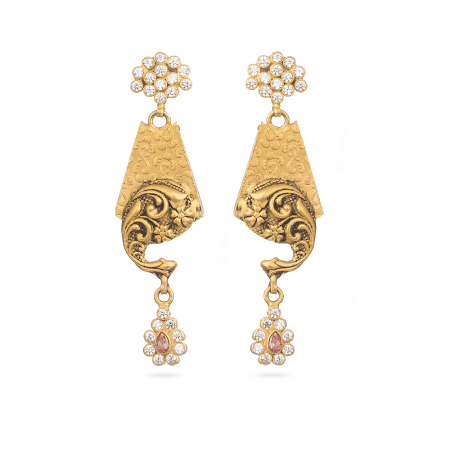 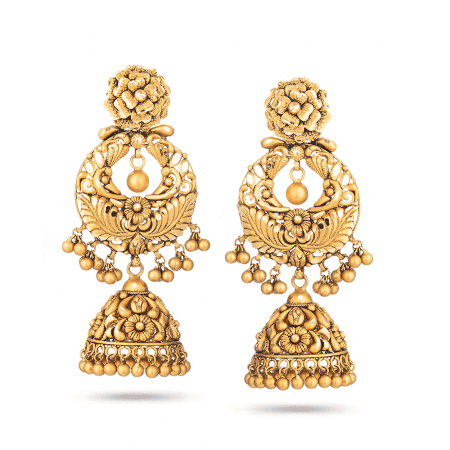 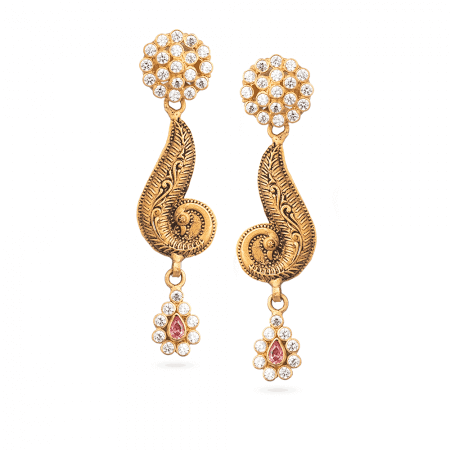 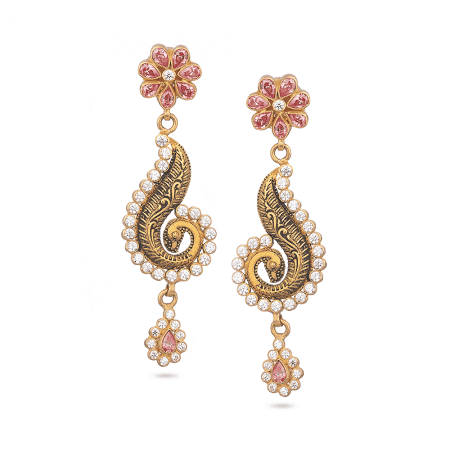 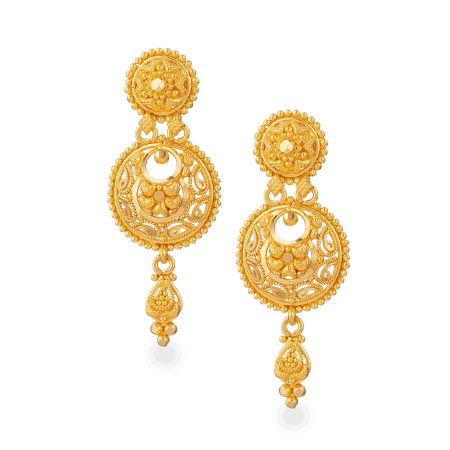 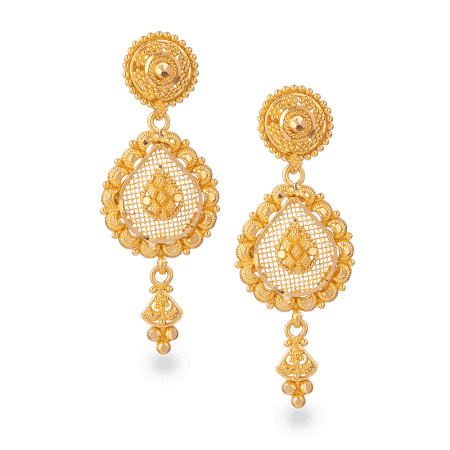 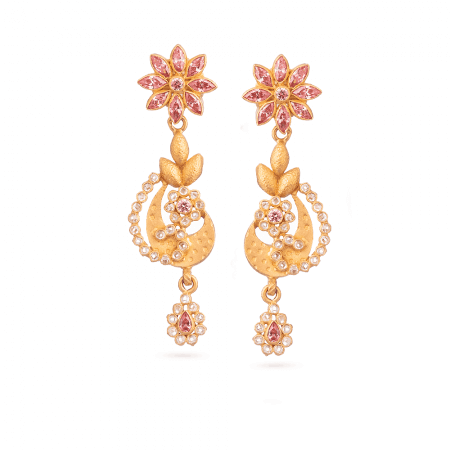 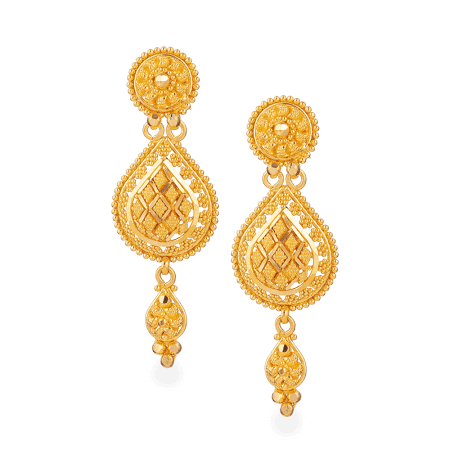 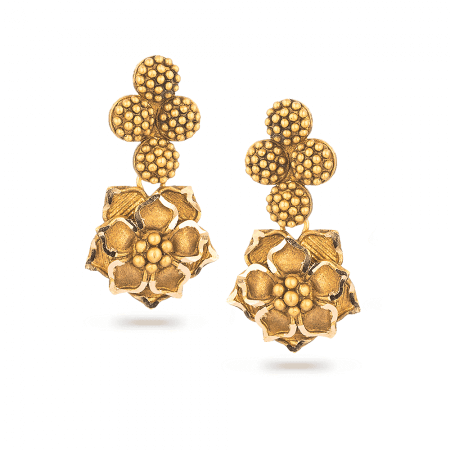 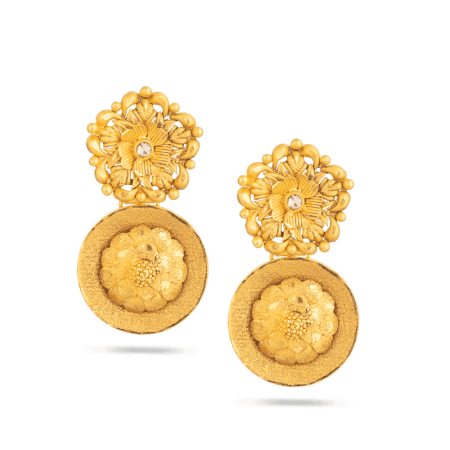 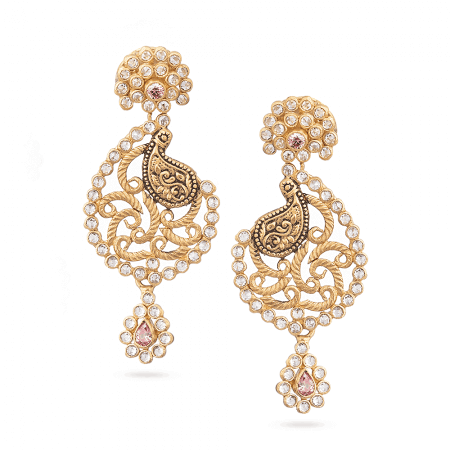 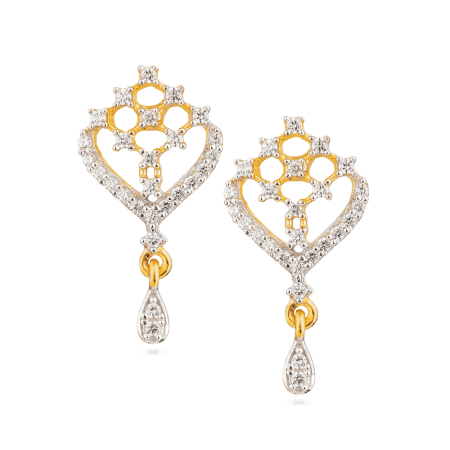 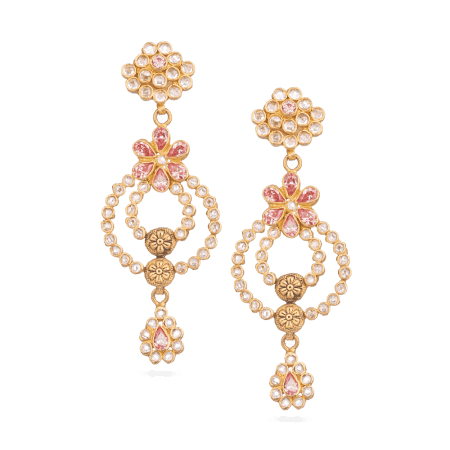 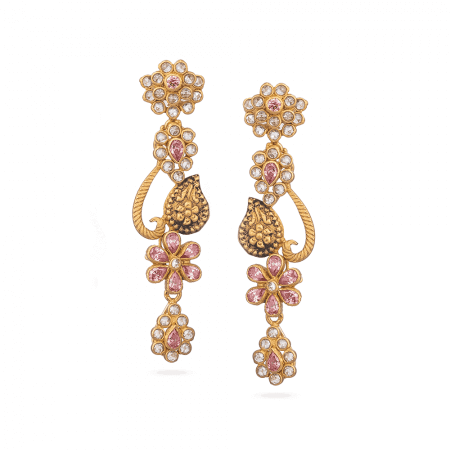 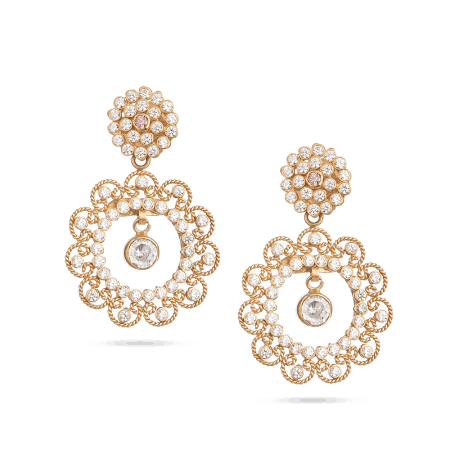 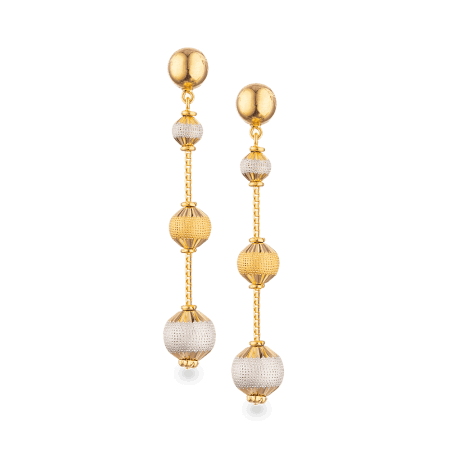 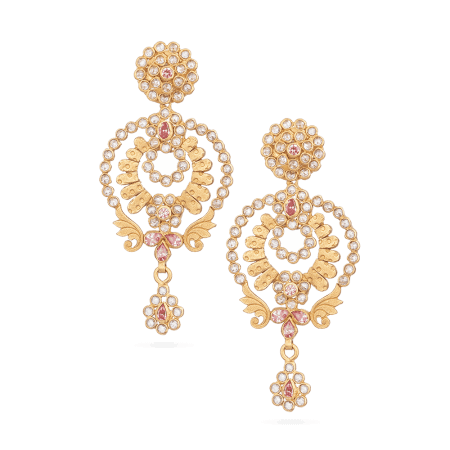 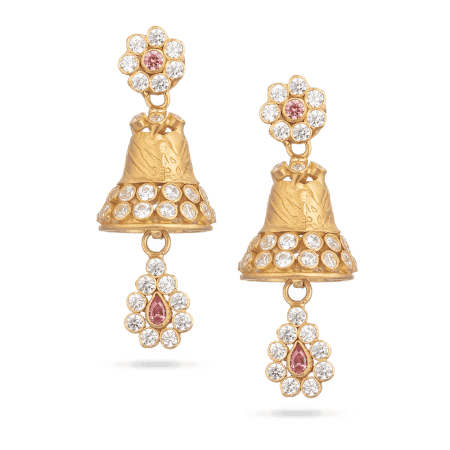 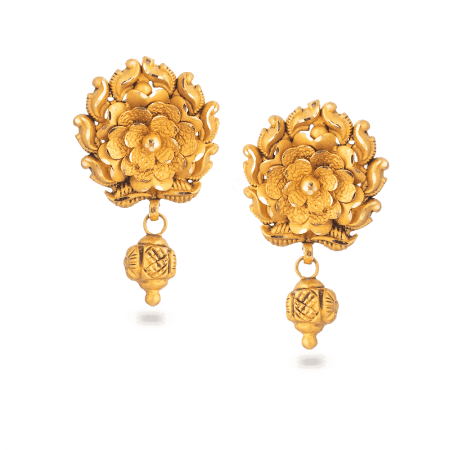 There are intricate, traditional Indian drop gold earrings – including Jumkha and Chandbali – plus modern, sleek drops – some featuring pearls, rubies, or zirconia. 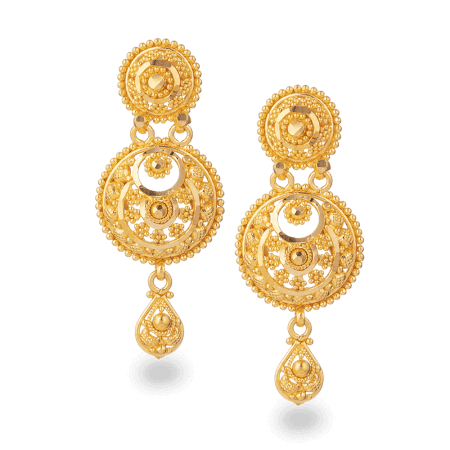 They flatter your face, whatever its shape, and draw attention to your pretty eyes – especially if they’re sparkling! 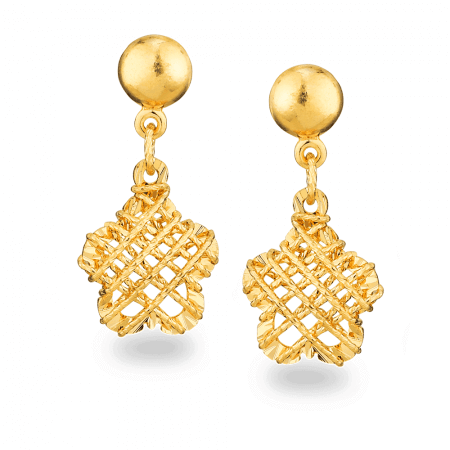 If you’re puzzling over a gift for the woman in your life, 22ct gold dangler earrings are almost always a big YES! 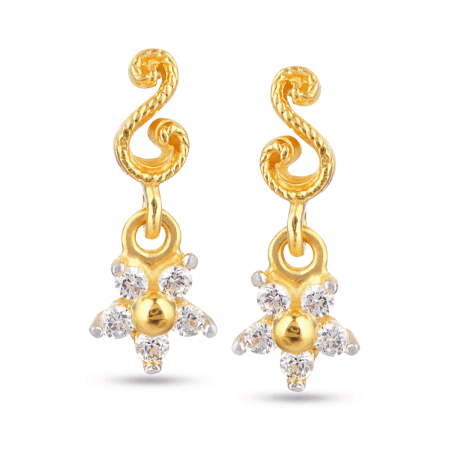 If you truly are puzzled then don’t forget to use our Live Chat. 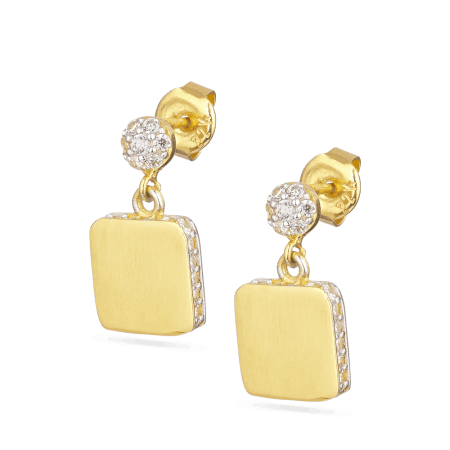 You’ll reach a real person in our store who can help to guide you in the right direction. 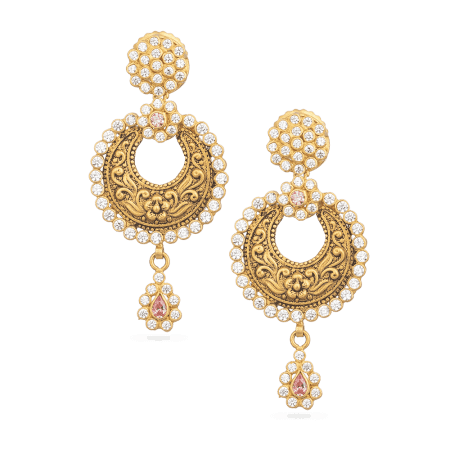 If you’re shopping for a special occasion, or wedding jewellery, then consider our traditional Indian Jumkha, or a pair of earrings set with uncut Polki diamonds. 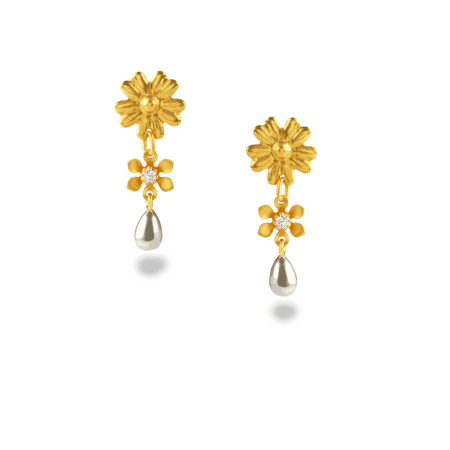 For a more understated look we have delicate daisy drop earrings and light, modern dangler earrings in our Sparkle collection.